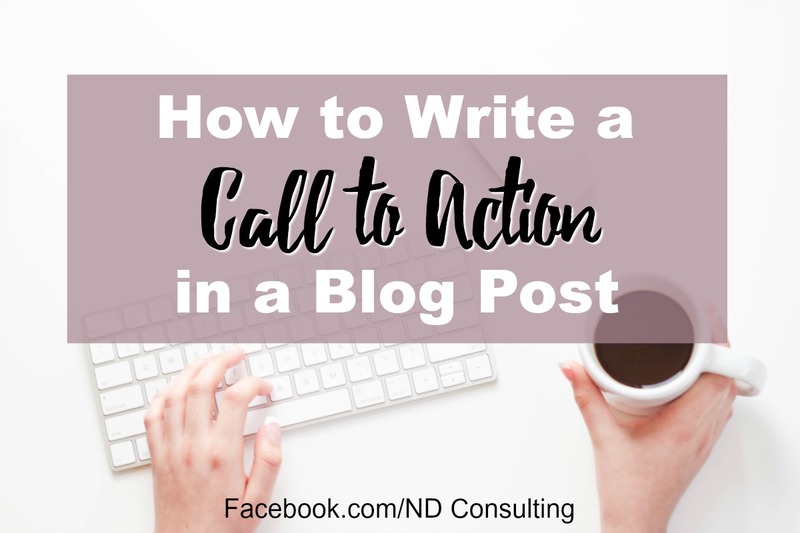 Grow engaged, converting blog traffic and earn more income from your blog by learning how to write a call to action with this checklist. 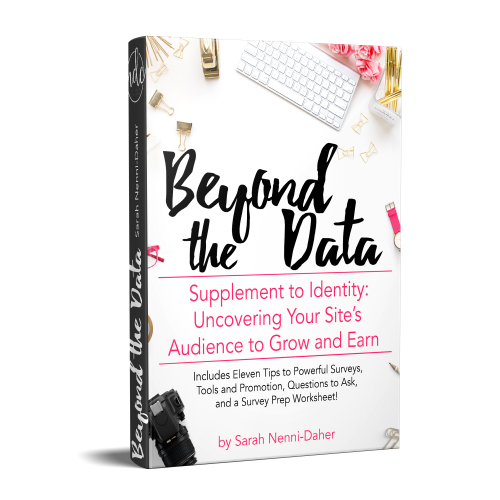 Examples, instructions, and a checklist are included for any blog entrepreneur! Simply put, a call to action is when you direct a reader to complete a task. For instance, I have a high-converting embedded email sign up not because it’s bright pink (although that helps), but because I tell the soon-to-be subscriber what they should do in order and what the receive. When you learn how to write a call to action, you will discover it is not too creative or wordy, but clear and performance driven. A call to action should direct a reader to perform the task which will achieve your goal. 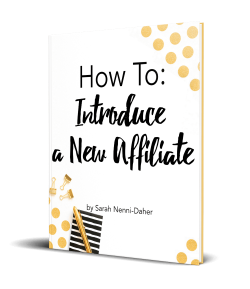 On this page, you can see I have one call to action near the top of this article: subscribe to the list to get the popular goodies. But that’s not the only place it will show up, oh no… It’ll be lower down, too. 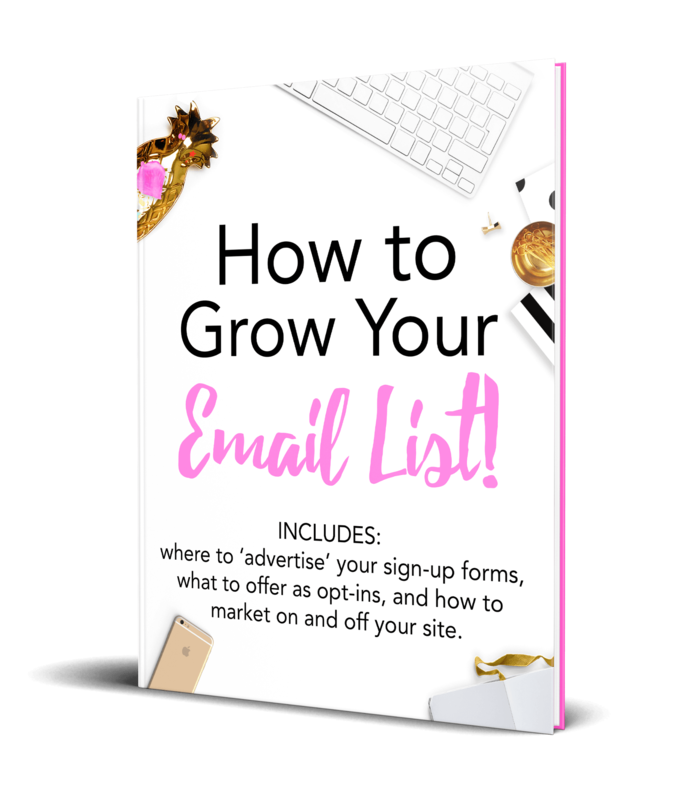 And not to ruin the surprise, but after you’ve read this article (and this one ‘cuz people love to grow email subscribers without popups), you’ll actually go to close out this tab in the browser, and wow – another call to action with my swanky, high-converting popup (that has a secret gift only for subscribers). Answer these questions and you’ll be able to craft a clear call to action (CTA) that will drive results. Note that wording is very important and which words you use can promote movement or turn people off. Persuasion, probing, urgency and exclusivity call to action words are all available to you – it’s up to you to know when to use each. What is the primary (one) goal you want to help you achieve with the article? What do you want them to do? Be clear and above all else, tell them how to do it. Earn more with your blog this year – click here to get Pitching Perfection 25% off! Reply and let me know your favorite meal planner. Help others grow – pin this to your favorite blogging tips board on Pinterest. To be clutter-free in 30 days, sign up for this challenge (limited seats available)! Don’t miss out on this limited time offer – click here for access! In these examples, there is obvious psychology being used. For further reading, check out HubSpot’s call to action phrases or this Wishpond’s list of words to include in your CTA. I’ve included a new checklist in the Resource Library (hmm… there’s yet another mention of my call to action). If you want the checklist now, make sure you’re signed up and then access the Resource Library. 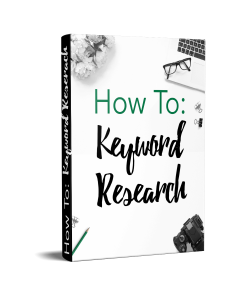 The words you will use aren’t the only consideration you need to give to your call to action. Always consider the audience, the results desired, and even contemplate ‘next steps,’ as they are all elements of a successful call. 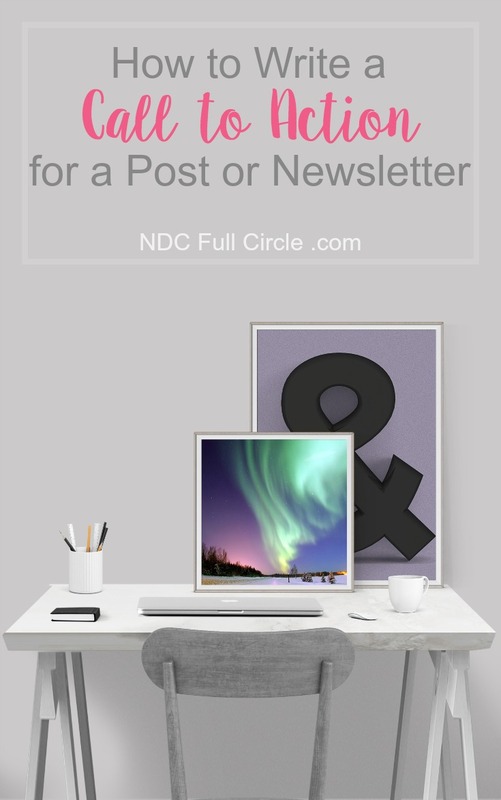 Where can the call to action be inserted within the post or email? Hint: it’s not just once. Create more than one way to state the same call to action. Link your call to action to a content upgrade, guide, gift, or discount to incent them to do something. Tell them the final value or benefit (what will your audience member ACCOMPLISH with this gift?). Include different call to action areas, buttons, colors, and methods. Consider an intelligent exit (exit intent) or nudge as a reminder of the call to action. Build a strong foundation for the relationship by quickly delivering the upgrade or gift. Offer something else in a two-step exit intent popup (I prefer Ninja Popups). If you are a blogger or content creator, you’re in sales. 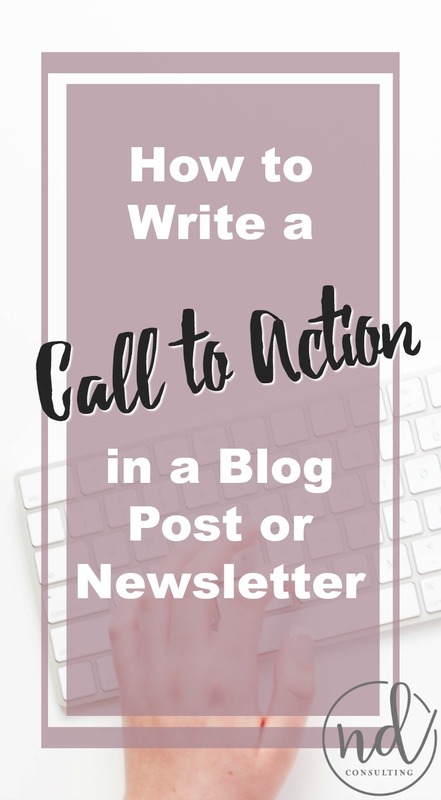 Grow engaged, converting traffic and earn more income from your blog by learning how to write a call to action with this detailed checklist. Very helpful blog, made me think about how I create my calls to action. I need to add a colorful box to all my posts. Also, can that be like a picture that is added to each post or is it something that has to be created every time? As always great information. Clearissa, Your creative wheels are turning! It can be anything you want as long as it speaks to your target audience. If you get more clicks on images than text boxes, go for it. 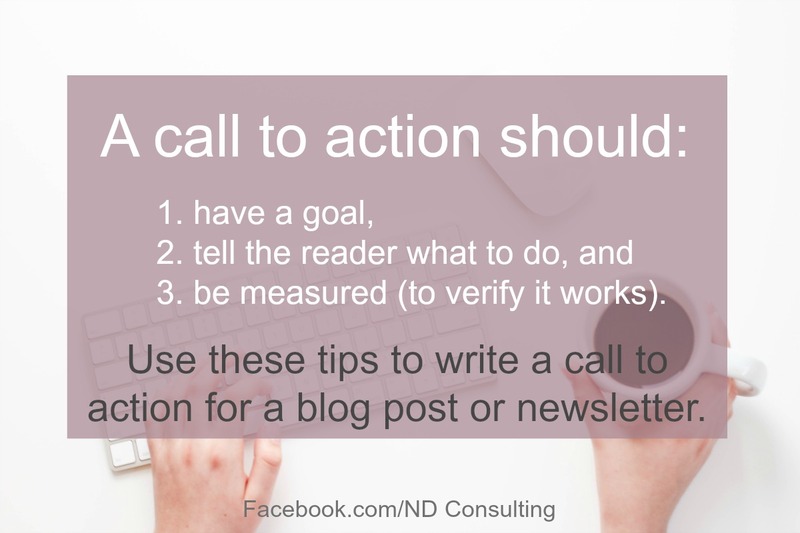 Use the tips in this ‘how to write a call to action’ article and you’ll be set. Thanks for stopping by and I’d love to see it when you’re done. Call to Actions are so important in blogging and marketing world. You are basically selling without seeming to sell, and finding a way to impart that urgency in a non-spammy way is so important! I love how you helped me in the past learn how to do this.